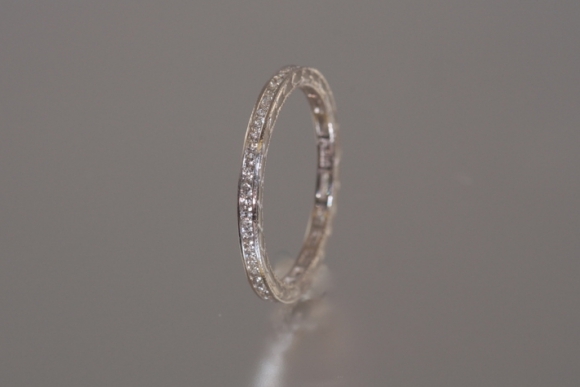 This eternity ring is channel set with round diamonds totaling 1/2 carat. The edge of the platinum band is hand chased. Size 6 1/4. This is one of a pair and the price is for one.